Be who you want to be for the day at a city built for kids! 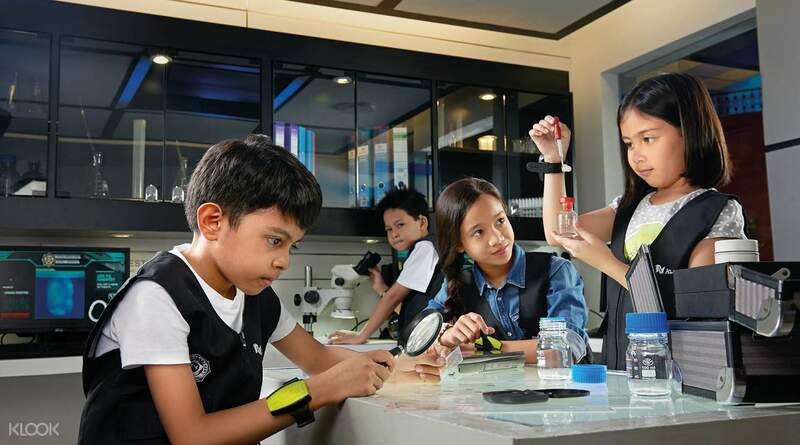 Located at Palawan Beach on Sentosa, KidZania Singapore offers children real-life experiences through role-play activities in the kid-sized city. 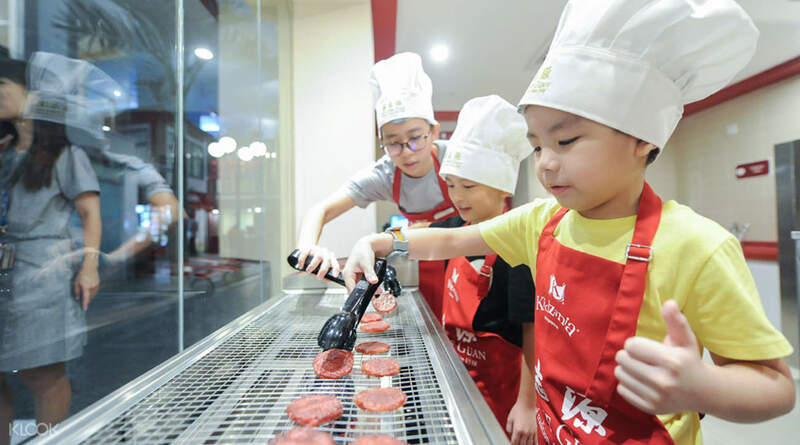 Children can learn to pilot an airplane, perform a surgery or whip up a meal as a chef! Through such diverse and interactive learning experiences, children can learn to develop valuable life skills such as responsibility, confidence and independence, that will help them follow their dreams and get ready for a better world! Was a fabulous experience for my kid and she was lucky to clear 20+ kinds of jobs in one day which made the ticket all worthwhile! Get US$1.1 back in Klook credits for your next trip when you book this activity! Complete this Klook activity to get 5% of the activity cost back in free credits to use on your next booking. For example, book US$22.05 to get US$1.1 free credits. Singapore is a city with lots to offer to its visitors: from museums to nightlife and nature hikes, the city has it all. But what if you are traveling with family and don't want the little ones to miss out on all the fun? Well then, KidZania Singapore is just the right place. 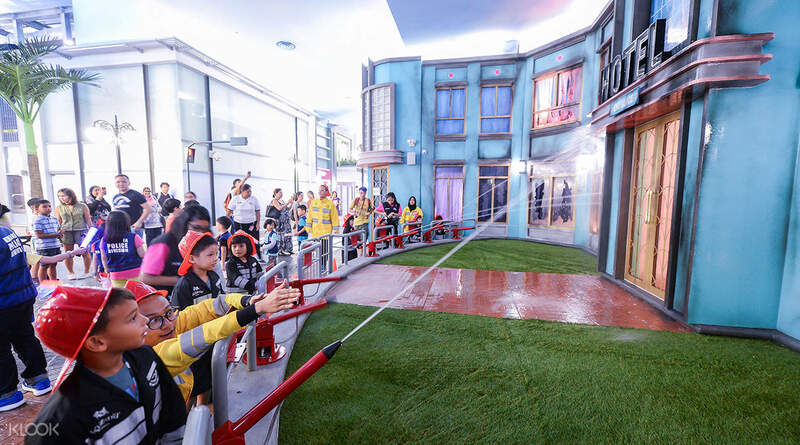 This unique theme park located on Sentosa Island lets kids try out different roles from firefighters and policemen to shop owners and chefs! 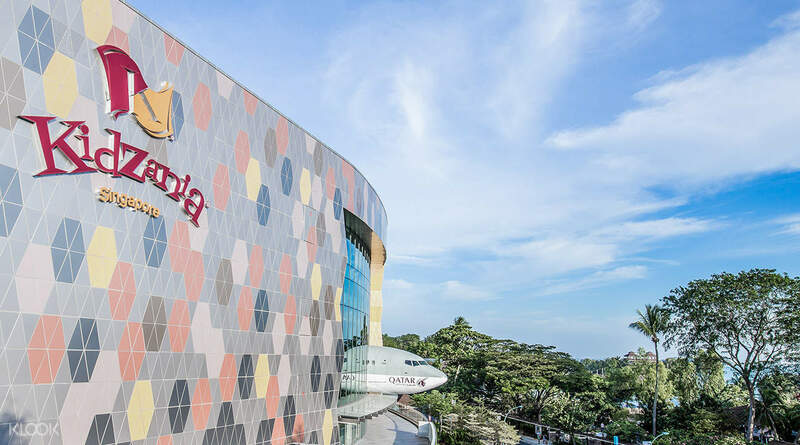 With KidZania Singapore tickets, a fun day awaits in a wonderfully educational environment for both kids and parents. This was alot of fun. My kids (4&6) really enjoyed this place. It was clean, well organized, and staff was wonderful. It was not very busy so my kids did a lot of activities by themselves. This is the 2nd Kids Zania location we have been to and I will definitely visit more when I have the chance. This was alot of fun. My kids (4&6) really enjoyed this place. It was clean, well organized, and staff was wonderful. It was not very busy so my kids did a lot of activities by themselves. This is the 2nd Kids Zania location we have been to and I will definitely visit more when I have the chance. The Singapore KidZania is a little bigger than Seoul, Bangkok and KL. Just like the others it is well organized. At this location, they have a card where you could store the money. One of the good thing about this location is they use English compared with other Asian Kidzania. The Singapore KidZania is a little bigger than Seoul, Bangkok and KL. Just like the others it is well organized. At this location, they have a card where you could store the money. One of the good thing about this location is they use English compared with other Asian Kidzania. Easy to redeem by showing voucher. We went on a weekday during the March school holidays. There was definitely a crowd and Long queue for jobs like pilot and air stewardess. Despite the queue, the kids had a great time. Good to let them have a feel that money don’t come easy and they even worked at the soup restaurant to earn their own lunch. Easy to redeem by showing voucher. We went on a weekday during the March school holidays. There was definitely a crowd and Long queue for jobs like pilot and air stewardess. Despite the queue, the kids had a great time. Good to let them have a feel that money don’t come easy and they even worked at the soup restaurant to earn their own lunch. Kidzania was alot of fun for the kids. Roleplay at all sortd of jobs. The place is very well set up to mimic the real world. Even before they could drive a car they had to pass an eye test and then apply for a temp licence. The entry price for adults is a joke as you dont do anything but stand and wait around for the kids. The Kidzania in KL is just as good but half the price. Kidzania was alot of fun for the kids. Roleplay at all sortd of jobs. The place is very well set up to mimic the real world. Even before they could drive a car they had to pass an eye test and then apply for a temp licence. The entry price for adults is a joke as you dont do anything but stand and wait around for the kids. The Kidzania in KL is just as good but half the price. Great experience for kids. Indoor with aircon, which is great. Regardless of the weather, we could just plan to come anytime. Policeman, doctors and firemen are very popular. A bit of queue on the day we went. Because there’s lots of kinder kids ( due to school closure and excursion). Parents with older kids could relax while the kids roamed around. Very safe environment. Great experience for kids. Indoor with aircon, which is great. Regardless of the weather, we could just plan to come anytime. Policeman, doctors and firemen are very popular. A bit of queue on the day we went. Because there’s lots of kinder kids ( due to school closure and excursion). Parents with older kids could relax while the kids roamed around. Very safe environment. Our kids loved it. A pity though you cannot purchase toddler tickets from Klook. You start off with $50 Kidzania dollars and you slowly earn more as you start to "work". You can keep the money earned, come back another time and earn more. Excellent way to teach our kids the virtue of saving through games. Our kids loved it. A pity though you cannot purchase toddler tickets from Klook. You start off with $50 Kidzania dollars and you slowly earn more as you start to "work". You can keep the money earned, come back another time and earn more. Excellent way to teach our kids the virtue of saving through games. Funny place and kids learned a lot and enjoyed very much. It will be prefect if the official photos taken by their staff can be purchased the soft copy after the day of visit. Sometimes the tourist are too rush to leave the park. Funny place and kids learned a lot and enjoyed very much. It will be prefect if the official photos taken by their staff can be purchased the soft copy after the day of visit. Sometimes the tourist are too rush to leave the park. Spacious place for kids to play and enjoy for whole day, meaningful and knowledgeable role play for different ages of kid. The most impressive thing is the last stop to use the credit which the kids earning in whole day for shopping by their own, the whole process is on the child alone without parents help, it makes the kids feels they really grown up a lot in a day. Spacious place for kids to play and enjoy for whole day, meaningful and knowledgeable role play for different ages of kid. The most impressive thing is the last stop to use the credit which the kids earning in whole day for shopping by their own, the whole process is on the child alone without parents help, it makes the kids feels they really grown up a lot in a day.